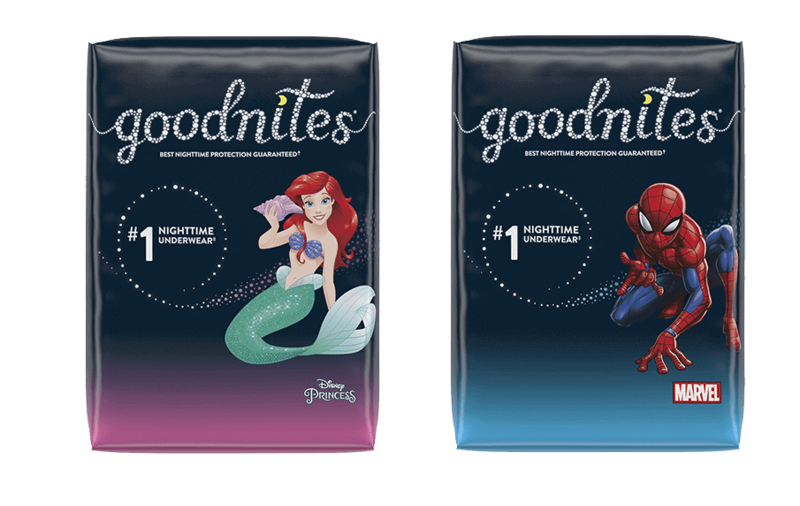 GoodNites® and Kimberly Clark Global Sales, LLC and/or its related entities (“GoodNites” or “Sponsor”) may occasionally conduct contests, sweepstakes and/or other giveaways (individually and collectively, “Promotion”) on social media/networking websites including but not limited to twitter.com, twitpic.com, facebook.com, pinterest.com, and instagram.com (each, a “Social Media Site”). Unless specifically noted otherwise by Sponsor, these terms and conditions, along with the terms of the Promotion Offer (defined below), shall serve as the official rules for any such Promotion conducted by Sponsor. Sponsor may terminate, extend, suspend or alter any Promotion in its sole discretion, unless prohibited by law. Specific information for a Promotion will be set forth in promotional material by the Sponsor for the Promotion on the Social Media Sites involved in the Promotion at the time of the Promotion (the “Promotion Offer”). 1. ENTRY: No purchase necessary to participate or win. A purchase will not improve one's chance of winning. Void where prohibited. You must be a member of the Social Media Site on which the Promotion is being conducted to participate in the Promotion. Entry into any Promotion will only be via the method specified by Sponsor in the Promotion Offer on the Social Media Site. Message and data rates may apply. Unless otherwise specified by Sponsor, you may enter as often as you wish. All entries must include the information requested by Sponsor to be eligible. Only one prize per person, household, email address and/or username will be allowed in any thirty (30) day period. All entries must be received within the time period stated by Sponsor in the Promotion Offer to be eligible to win a prize (the “Promotion Period”). Late and/or subsequent entries per person, per household per email address and/or username will be disqualified. Sponsor is not responsible for failure to receive an entry for any reason including but not limited to submission and/or transmission failures, technical malfunctions and/or other conditions beyond its reasonable control. Entries generated by script, macro or other automated means are void. All entries become the property of Sponsor and will not be acknowledged or returned. 2. ELIGIBILITY: To participate, you must be a legal resident of the 50 US or DC, eighteen (18) years of age or older and have a child between the ages of 1 and 6 at the time of entry. Employees, and members of their immediate families and households of Sponsor, its subsidiaries, affiliated companies, advertising and promotion agencies, and anyone else involved in the production, development or handling of the Promotion are not eligible to participate and/or win. The term “immediate family” includes spouses, domestic partners, siblings, parents, children, grandparents, grandchildren, or other family extension, and any other persons residing at the same household whether or not related. 3. WINNER SELECTION: If the Promotion is a sweepstakes or otherwise based upon chance, winners will be selected at random from among all eligible entries received during the Promotion Period. If the Promotion is a contest or otherwise based upon skill, winners will be selected according to the criteria set forth in the Promotion Offer. Winners will be selected on or about three days following the end of a particular Promotion Period by independent judges, whose decisions are final and binding on all aspects of the promotion. The number of winners will be stated in the Promotion Offer. Sponsor’s clock will be the official time keeper for all Promotions. Winners will be notified within three (3) business days following the conclusion of the Promotion by a direct message via Facebook, Instagram or Twitter (if applicable), and/or via e-mail and/or telephone. If a winner does not respond to such notification within three (3) business days and/or does not meet the stated eligibility requirements, such winner will be disqualified and Sponsor reserves the right to select an alternate winner from the remaining eligible entries received for the applicable Promotion. No more than the stated number of prizes in the Promotion Offer will be awarded. Winners may be required to sign and return an Affidavit of Eligibility, Liability Release and, where legally permissible, a publicity release and/or provide other personal or tax information. Winners will have three (3) business days to provide all such information and to execute and return the Affidavit of Eligibility, Liability Release and publicity release (if required by Sponsor). If a potential winner is a minor in his/her state or province of residence, any required documents must be signed by a parent or legal guardian. The failure to comply with the foregoing requirements, or the return of any prize or prize notification as undeliverable may cause the winner to forfeit their prize and Sponsor reserves the right to select an alternate winner. Sponsor’s decisions concerning selection of winners, as well as all other matters relating to any Promotion, are final and binding. 4. PRIZES/ODDS: The number and value of prizes awarded in any Promotion will be stated on the Promotion Offer for that Promotion. In no event will the total of value of any prizes awarded in any Promotion exceed $550. Prizes may not be substituted, transferred or assigned except at Sponsor’s sole discretion. Prize includes only what is specified in the prize description in the Promotion Offer. All taxes and other expenses not listed in the Promotion Offer are winner’s responsibility. Odds of winning any chance Promotion depend upon the number of eligible entries received for that Promotion. 5. LIMITATION ON LIABILITY: ENTRANTS RELEASE, DISCHARGE, AND AGREE TO INDEMNIFY AND HOLD HARMLESS, SPONSOR, FACEBOOK, TWITTER, INSTAGRAM AND THE OTHER SOCIAL MEDIA SITES AND THEIR RESPECTIVE DIRECTORS, OFFICERS, EMPLOYEES, PARENTS, SUBSIDIARIES, AFFILIATES, AGENTS AND REPRESENTATIVES (THE “RELEASED PARTIES”) FROM AND AGAINST ANY CLAIMS OR LIABILITY FOR ANY DAMAGES, INJURY OR LOSSES (INCLUDING DEATH) TO ANY PERSON, OR PROPERTY, OF ANY KIND RESULTING IN WHOLE OR IN PART, DIRECTLY OR INDIRECTLY FROM ACCEPTANCE, POSSESSION, MISUSE OR USE OF ANY PRIZE OR PARTICIPATION IN ANY PROMOTION RELATED ACTIVITY OR PARTICIPATION IN ANY PROMOTION CONDUCTED BY SPONSOR. 6. GENERAL CONDITIONS: Illegible, unintelligible or incomplete entries or responses will be disqualified. The Released Parties are not responsible for any late, misdirected, or undelivered entries. The Released Parties are not responsible for technical, network, electronic, computer, hardware or software failures of any kind, including any injury or damage to entrant's or any other person's computer related to or resulting from participating in or downloading any materials related to any Promotion. The Released Parties are not responsible for incomplete, garbled or delayed Internet/e-mail computer entries or for any malfunction or technical errors occurring on any Social Media Site on which a Promotion is conducted. The Released Parties are not responsible for any failure of an enter to obtain the information in the Promotion Offer. In the event that technical or other circumstances compromise a Promotion, Sponsor reserves the right to cancel, modify or terminate the Promotion, and/or to select winners for prizes from all eligible entries received prior to the cancellation. The Released Parties are not responsible for typographical errors in the Promotion, any Social Media Site or these rules. 7. CLAIMS/CHOICE OF LAW: All issues and questions concerning the construction, validity, interpretation and enforceability of these Official Rules, or the rights and obligations of entrant in connection with any Promotion, shall be governed by, and construed in accordance with, the laws of the State of Wisconsin, without regard for conflicts of law doctrine, and all proceedings shall take place in the State of Wisconsin. All participants who enter a Promotion agree to submit to the exclusive jurisdiction of the courts of the State of Wisconsin and agree to waive the right to a jury trial with respect to any claim or dispute with regard to any aspect of any Promotion or these Official Rules. Any and all claims, judgments and awards in connection with a Promotion shall be limited to actual out-of-pocket costs incurred in connection with such Promotion but in no event attorney’s fees; and under no circumstances will an entrant be permitted to obtain awards for, and entrants hereby waive all rights to claim punitive, incidental and consequential damages and any other damages, other than actual out-of-pocket expenses, and any and hereby waives all rights to have damages multiplied or otherwise increased. 9. DISNEY: These rules release and indemnify all Disney entities (i.e., Disney Consumer Products, Inc. and its parent, affiliated and subsidiary companies and it and their officers, directors, employees and agents). Disney employees are excluded from winning prize. 10. WINNERS LIST: For the name of the winner of the Promotion, please send a self-addressed stamped envelope to: GoodNites Social Media Promotion, PO Box 735, North Branford, CT 06471, within thirty (30) days following the conclusion of the applicable Promotion. The Promotions are not in any way sponsored, endorsed or administered by Facebook, Twitter, Instagram and the other Social Media Sites.